Back in the ’70s and ’80s, when Rock & Roll was still chart-topping genre rather than something that people over age 40 get nostalgic about, popular bands doing Christmas-themed songs was a thing that I enjoyed. While many of my holiday favorites fall into the pop-ballad category — the gloriously maudlin “Merry Christmas, Darling” by The Carpenters, or Emerson Lake and Palmer’s appropriately stoic “I Believe in Father Christmas” spring instantly to mind — there are a few modern standards that truly rock out. Which brings us to this week’s Video Clip, Elton John’s “Step Into Christmas” — a song that John recorded with his original band in 1973! You probably weren’t even born yet. This extremely rare performance footage was originally broadcast in 1973 as part of The Gilbert O’Sullivan Show. After its original broadcast, the footage was lost in the ITV archives and has only recently been unearthed. Featuring Elton alongside his classic band line up of Davey Johnstone, Dee Murray (RIP) and Nigel Olsson (with a rare cameo appearance from Bernie Taupin on percussion) in all of their Glam Rock glory, the clip has not been seen since it was first aired. The “Step Into Christmas” single originally charted at No. 24 in the UK single charts, and reached a peak chart position of No. 11 again in 2017. As you can hear, the song simply refuses to date. “Step Into Christmas” is available now as a three track digital EP featuring both the original single and its B-side of “Ho! Ho! Ho! (Who’d Be A Turkey At Christmas)”, plus the audio performance from the Gilbert O’Sullivan Show. Enjoy! 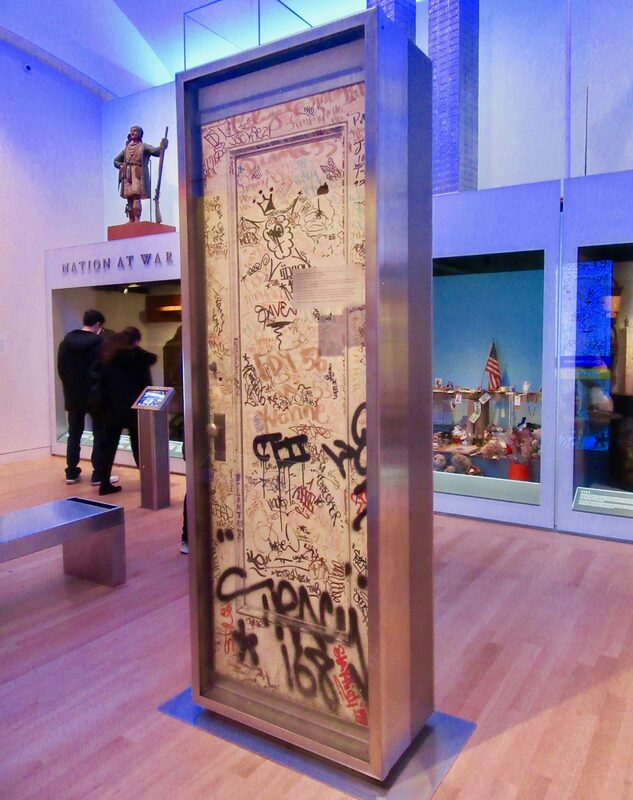 Vision or vandalism? 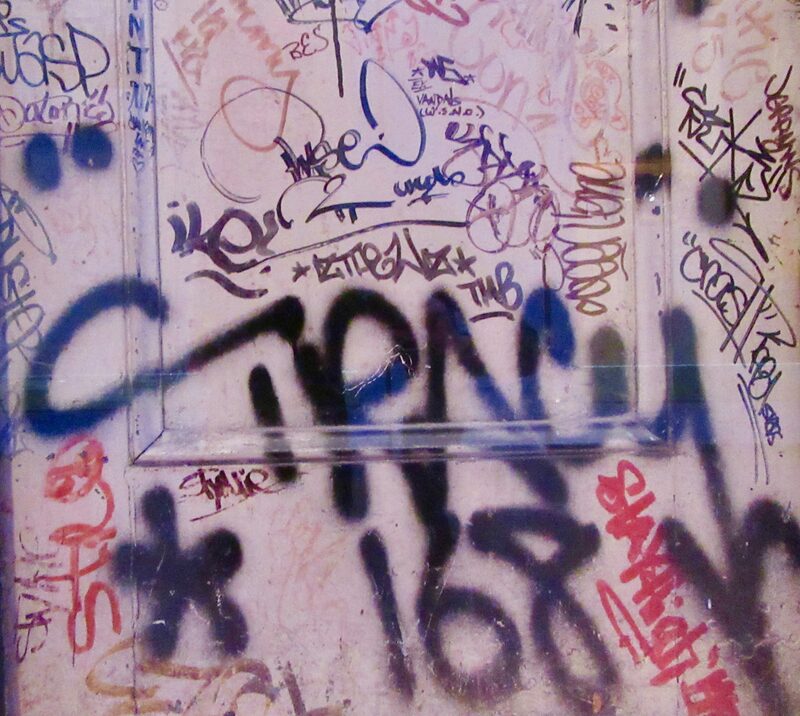 New Yorkers had different reactions to the “tags” scrawled on subway trains in the 1970s. Many saw them as a sign of urban blight. Artist and photographer Jack Stewart saw them as a new American Art Form. 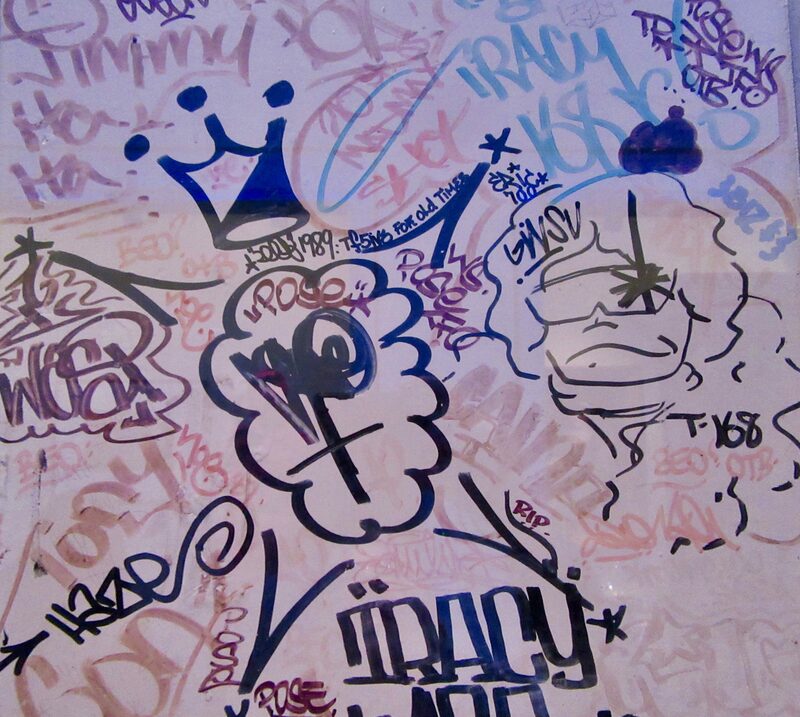 Stewart befriended many of the young graffiti writers, who by 1973 gathered regularly in his studio. 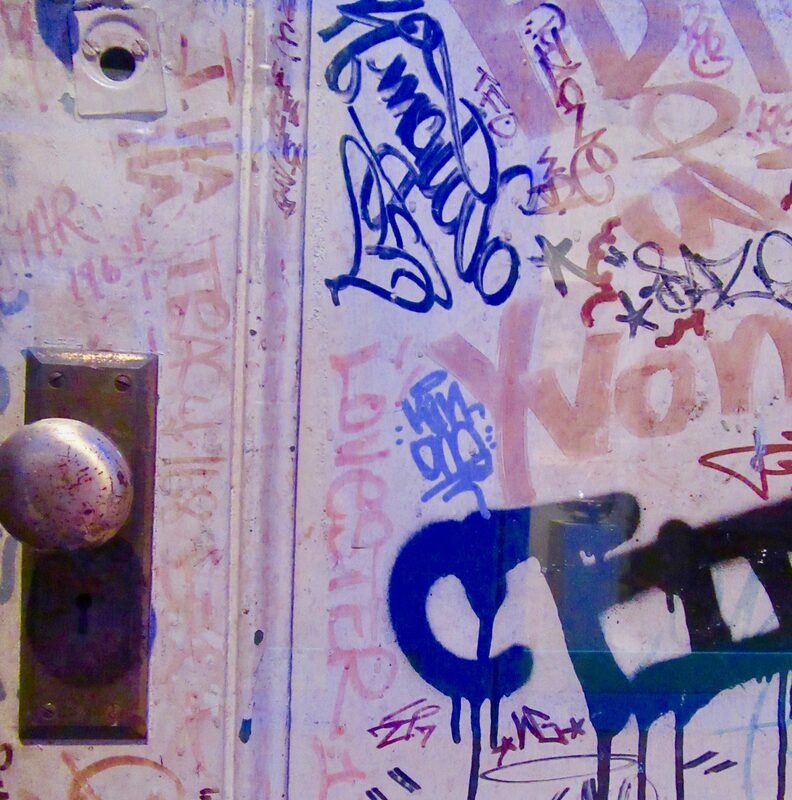 Recognizing their irrepressible urge to mark every surface, he offered the inside of his bathroom door as a canvas, with the understanding that they would leave the rest of his studio untouched. 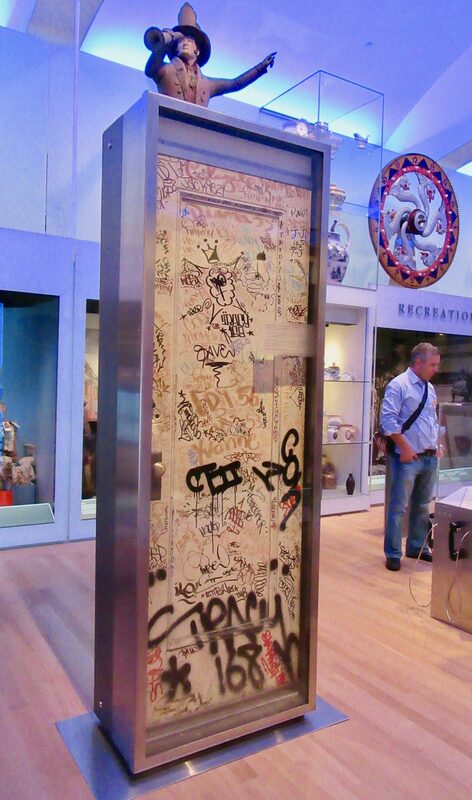 The door is a remarkable relic of 1970s New York City. 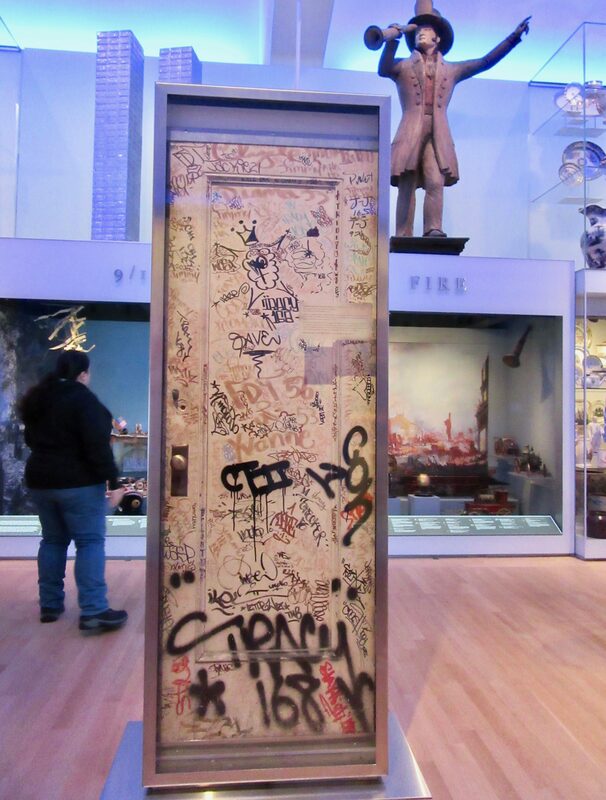 A Gift of Regina Serniak Stewart, the Stewart Studio Graffiti Door was Photographed in the New York Historical Society in NYC.